Brook Cottage near Banbury is one of the most delightful small gardens I've visited this year - it's a feast for the senses, with birds singing, stunning planting and wonderful smelling roses - created by plantswoman Kathleen Hodges and her late husband over the last 35 years. It's also a very special garden which seems to sings with joy, that's earned a place in "1001 Gardens You Must See Before You Die". I arrived just after it opened and was able to wander through the many garden areas undisturbed in the morning light, and was really glad I'd made the effort to get here. Located on the slopes of a west-facing valley in North Oxfordshire, this 4-acre garden has been created round a 17th-century cottage, which is covered with roses in June. 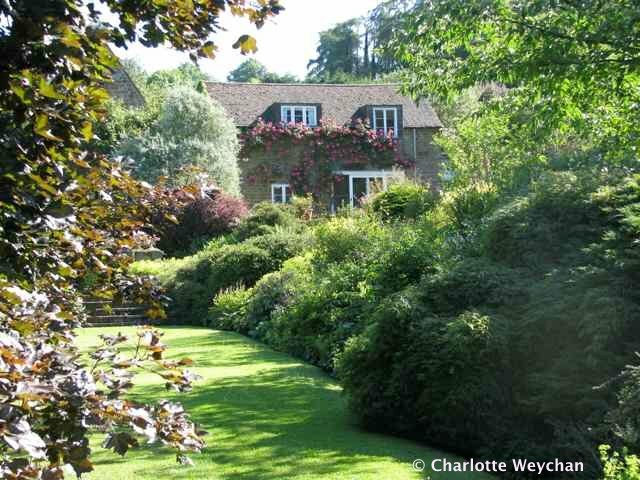 It's also home to an remarkable collection of more than 50 different clematis, many lovely trees and secret garden areas that entice you to sit and reflect. There's no doubt that this is a very personal garden, reflecting the labours of its owners over the last 35 years. Astounding too is the range of plants you'll see here - this is a real plant lovers delight! 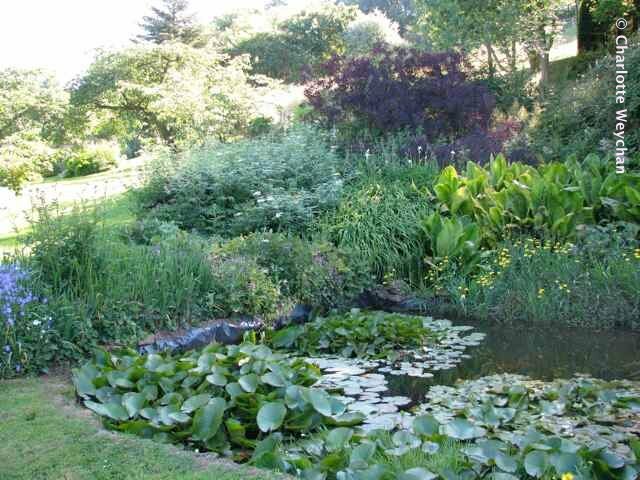 The pond area is a Beth Chatto vignette; the garden entices you in; and I'm told the snowdrops here are worth making a special trip for (providing there's no snow on the ground, because I doubt you'd get here in bad weather!). Definitely one to visit and worth going out of your way for. Close enough to combine with Rousham House, and Upton House (to be reviewed later this month). Brook Cottage is open Monday-Friday 9.00-6.00 - check the website for further details and how to get there. 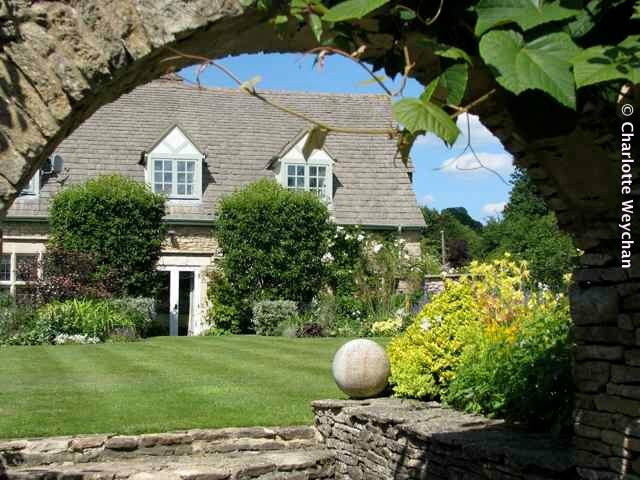 Slightly further south is another charming "cottage" garden - Stone House at Wyck Rissington, near Cheltenham. Located in a beautiful village that epitomises the Cotswolds, with its glorious honey-coloured stone houses and a church where Gustav Holst was once the organist - this is another garden that will win your heart - it certainly won mine at the end of a week when I'd visited many other beautiful properties in the area. 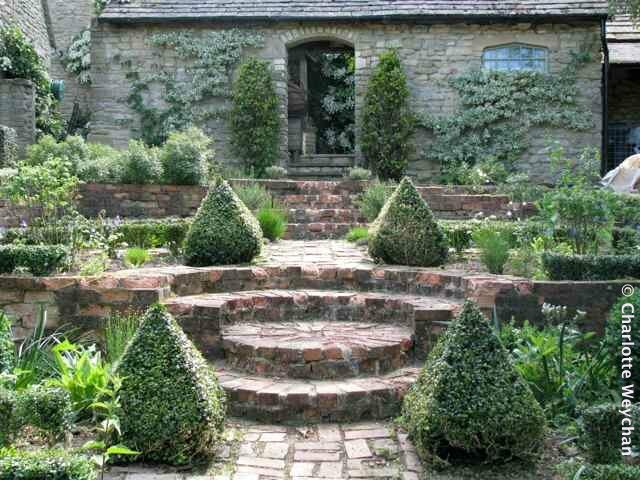 Both the planting and the unusual design will impress you at plantswoman Katie Lucas' charming 2.5 acre garden. You'll be greeted by ebullient borders adjacent to the house before wandering through a series of garden rooms, like the charming terraced herb garden. But it's obvious this is also a much-loved family home, and even the swimming pool is cleverly concealed so you think it's another special garden area. 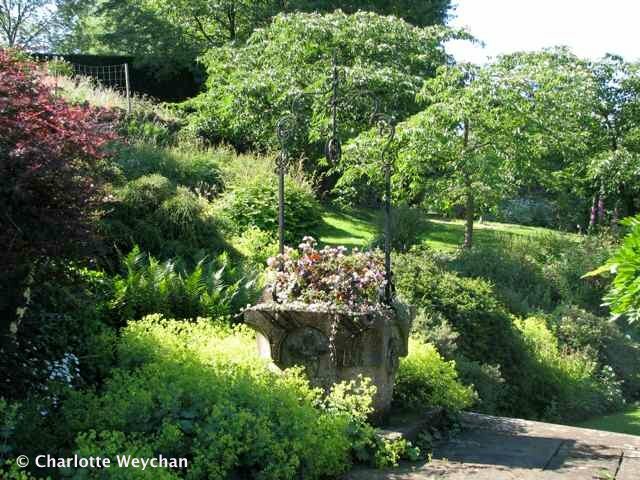 In fact, you almost feel as though you're trespassing when you wander through this charming garden, even though Stone House is open by appointment (check website for details). My readers will know I love plants without people, and both these special places gave me the opportunity to wander through the borders without being jostled by hordes of garden snappers, armed with expensive cameras in search of the perfect memory for their albums. I'll take Brook Cottage and Stone House any day in preference to some of the over-crowded gardens that have made the Cotswolds so famous. This makes me want to go to Europe for a visit. I miss their gardens filled to the brim with plants that simply will, not grow here like birches, lilacs and clematis...snowdrops! I wish! love all the stonework, I also like that shot of the house through the stone arch. If only all small gardens were so large! I'm with you, I'd much rather visit gardens like these without the coach-loads of shutter-happy tourists. Glad you found some respite after Hidcote! I love the stonework at Stone House. I gave my dad the link to your blog because he and my mum love to drive out in the country and visit country homes and gardens. He told me he's already made a list of ones he'd like to see that they haven't been to yet! I wish I was there to visit with them. I love looking at all your photos of these magnificent gardens that you so graciously give to us here on your blog. I too am all for photos without people smak dab in the middle of a great shot. 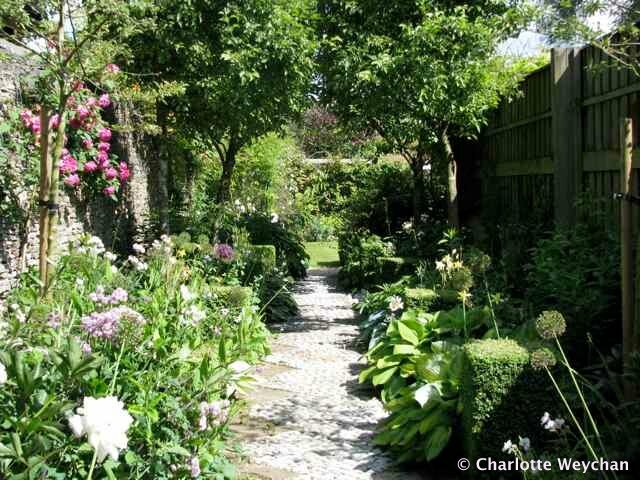 Now Brook Cottage is the garden I have to visit before I die! They both sound delightful but I must try and visit Brook Cottage one day especially as I am such a Rose and Clematis fan. I too have 50 clematis although one or two are duplicated.